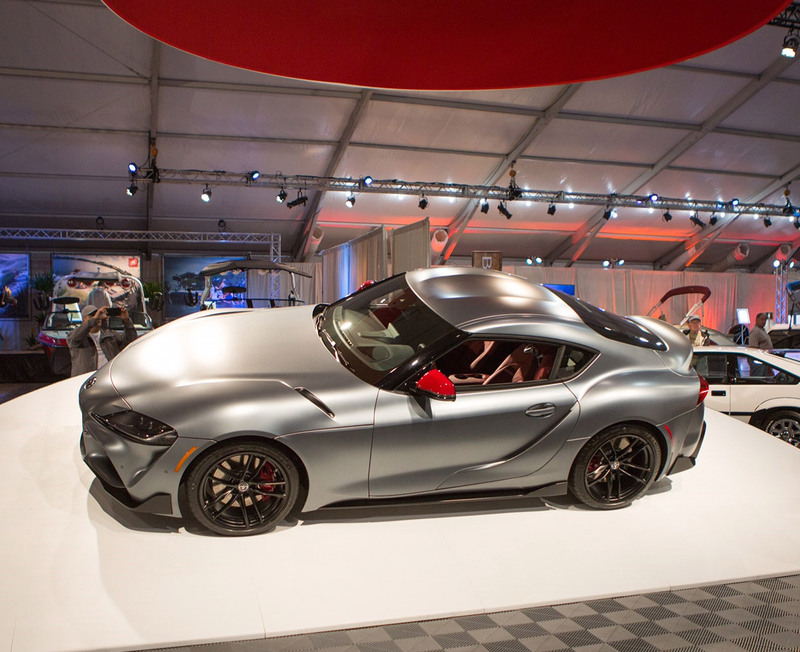 I got a chance to check out the new 2020 Toyota Supra in person the other day, and was quite impressed with what I saw. Sure, I’m not a huge fan of the front end design but other than that, I think it looks great. Looks aside, I think it’s really going to sing on the street. 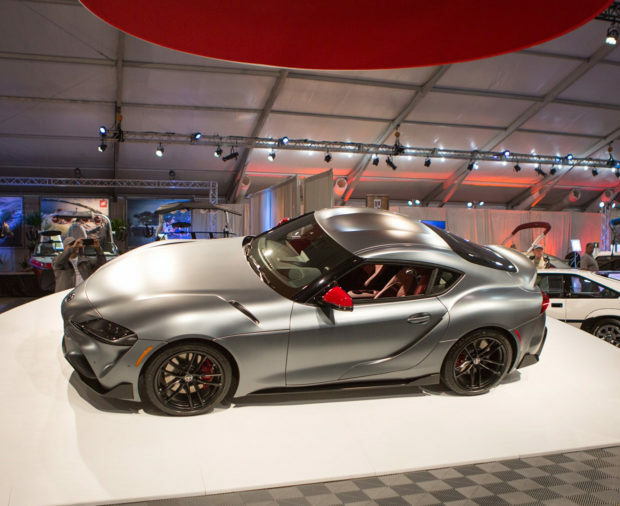 While individuals can start placing pre-orders with dealers for the First Edition Supra, it’s going to be a little while before the first production cars hit the streets. 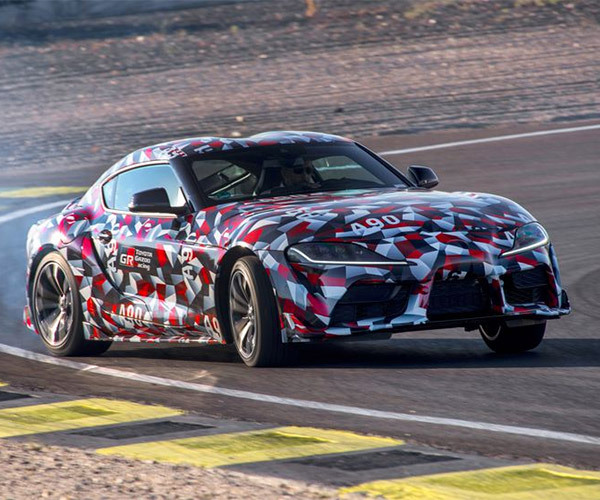 But as of this Saturday, the very first Supra already has an owner. 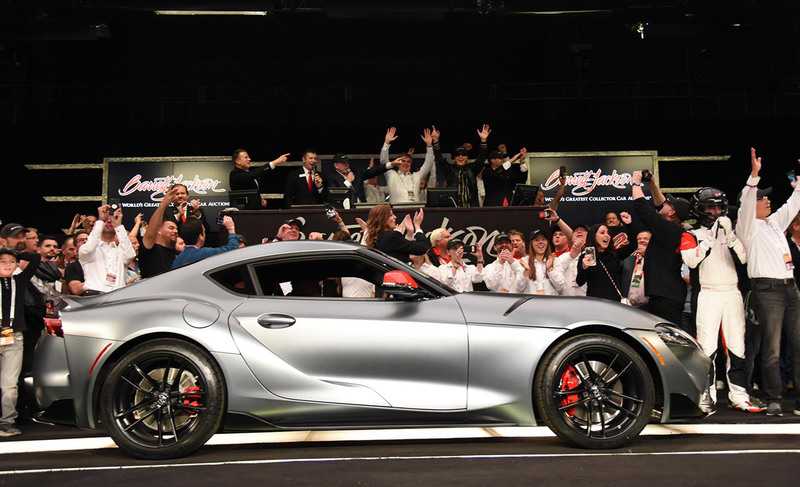 During this past week’s Barrett-Jackson Scottsdale auction this 2020 Supra, VIN 20201 hit the block, and quickly rose to an astounding $2.1 million final bid. 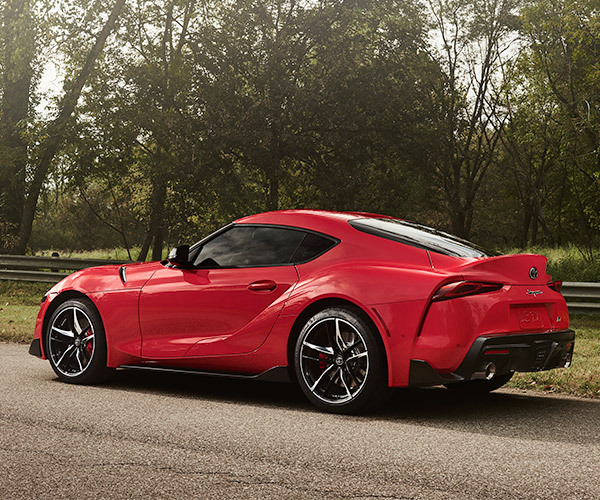 That’s about 38 times the price of a fully-loaded Launch Edition Supra, but it’s for a good cause. Like other Launch Edition cars, this one features red mirror caps, carbon fiber trim inserts, and special numbered badging on the dash. It looks particularly great in matte grey finish too. The proceeds raised from the sale will be going to the American Heart Association and the Bob Woodruff Foundation, which provides support to post-9/11 impacted veterans, service members, their families, and caregivers. 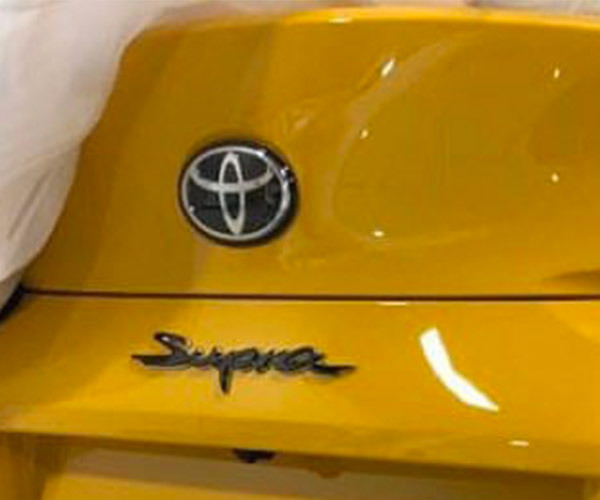 The winning bidder has not been publicly identified at this point, but will also receive a full VIP race track experience that includes a fully customized professional racing suit, two VIP passes and hot passes to TOYOTA OWNERS 400 – Richmond Raceway, and a chance to drive the pace car and do hot laps with Michael Waltrip.